Research by the Institute of Advanced Motorists (IAM) has shown that 226,803 drivers in the UK have points on their licence for driving without insurance. According to DVLA records, 194,997 full licence holders and 31,806 provisional licence holders have been caught driving without vehicle insurance and have received points for doing so - that's one in every 200 drivers. People in the 25-35 age category are most likely to drive uninsured (81,003 with points). Drivers over 65 were least likely to have points on their licence for driving without insurance (0.06%, or 3867 people). 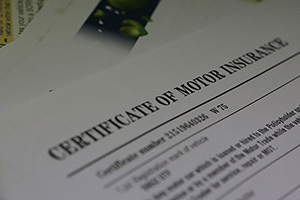 0.44% of people with a provisional licence have been caught driving uninsured. One in every 200 people with a full UK driving licence has been penalised with points for driving without insurance. IAM chief executive Simon Best said: "These findings are shocking. Those 200,000 individuals who drive whilst uninsured place the burden back on those who abide by the law through higher premiums and potentially the cost of vehicle repair. "The most concerning fact is that this could just be the tip of the iceberg, as these numbers only represent those who have been caught and penalised. Insurance fraud and uninsured driving are also growing problems that need to be tackled through a coordinated approach from enforcement authorities. It is not acceptable that drivers pay up to £70 in higher premiums to compensate for those who ignore the law." As well as six points and a fine for driving uninsured, an 18-year old with a £950 premium could expect to see this increase to £2195. For a 30-year old it would increase from £228 to £4621. Peter Harrison, car insurance expert at MoneySupermarket, said: "It's astonishing how many drivers are still prepared to hit the road without insurance. Not only is it illegal but you could face thousands of pounds in liability, a conviction, six points on your licence and a hefty fine should you be caught out or be involved in a crash. “To make matters worse, uninsured drivers cost the insurance industry £500 million each year. Furthermore, insurance fraud adds £39 to the cost of every motor premium and uninsured driving an extra £30 - this is not fair on law-abiding motorists. "The cost of insurance premiums will no doubt have influenced the decision from some drivers to forego insurance altogether. However, the penalties for not having insurance are great, and could even result in your vehicle being confiscated. Although car insurance premiums may appear high, having suitable insurance and proving you are a safe driver will help bring premiums down over time. Not having insurance, and being caught without it, could result in you not being insurable in the future."